Your guide to better sleep. This month is National Bed Month – and no, that’s not an excuse to stay in bed for a month. It’s all about refining your sleeping habits so you get a good night’s sleep, every night. Sleep is an incredibly important function, it’s when our bodies rejuvenate and our minds process the day’s events. 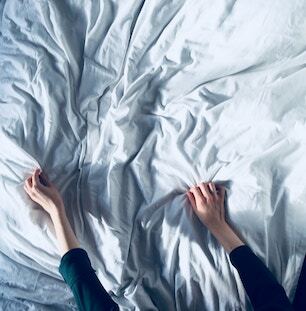 When we go too long without it, we can become both mentally and physically ill.
Having said that, for some people getting the recommended amount of sleep is a difficult task. Sleep disorders such as night terrors and insomnia can make bedtime a stress rather than a pleasure. To overcome this, we’ve put together a few general hints on good sleep hygiene. While they may not cure you from your sleep disorder, they can certainly help you get a head start. To overcome a sleep disorder, you may need to bring in reinforcements. Hypnotherapy is a therapeutic tool often used to overcome problems like insomnia. You can find out more by visiting our insomnia and sleep disorder pages. 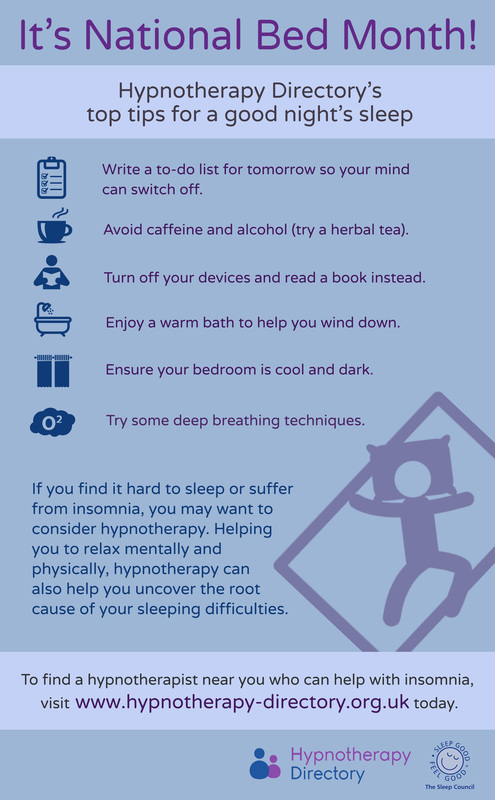 To help raise awareness of good sleep habits (like switching OFF your electronic devices), please like and share our infographic on Twitter and Facebook.